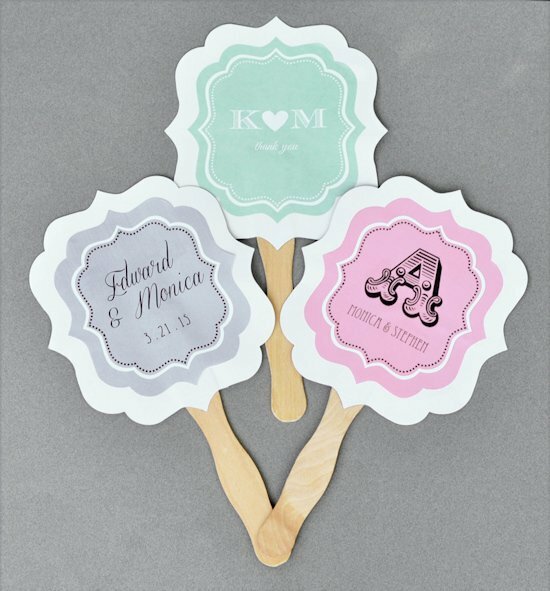 Our Personalized Wedding Paddle Fans will keep your guests cool and comfortable at your wedding and they'll make a sweet reminder of your big day! 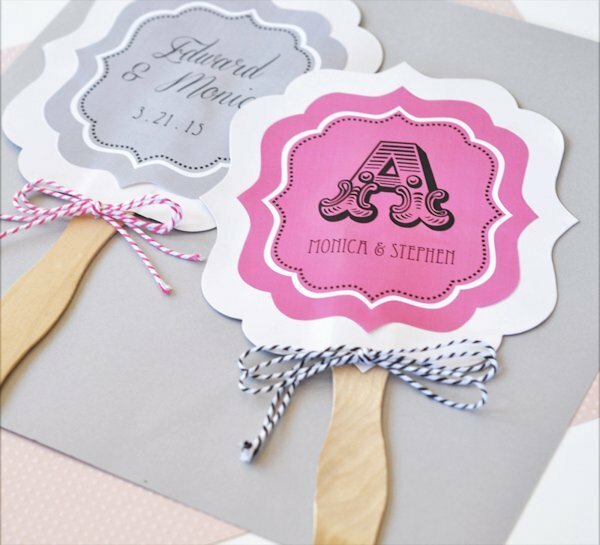 These personalized fans for weddings offer many personalization options to help you make a favor that is uniquely your own. 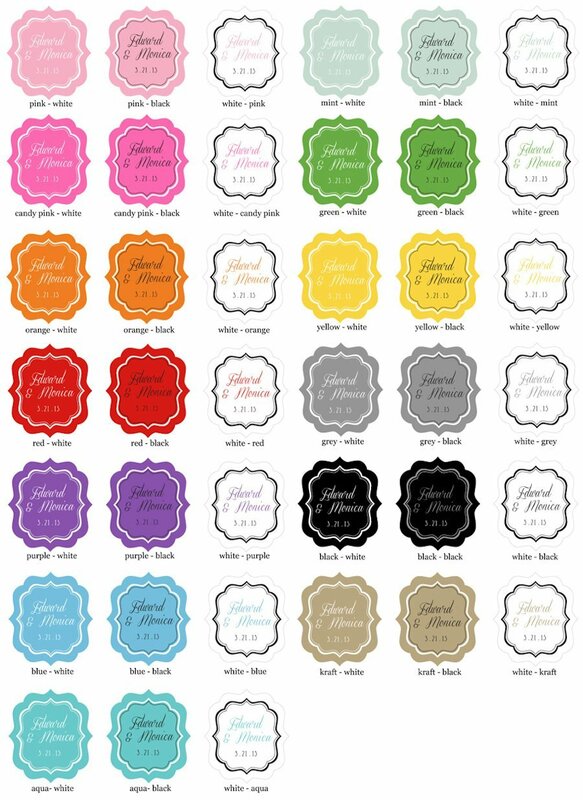 You may pick the color combination, design and even add your own text! 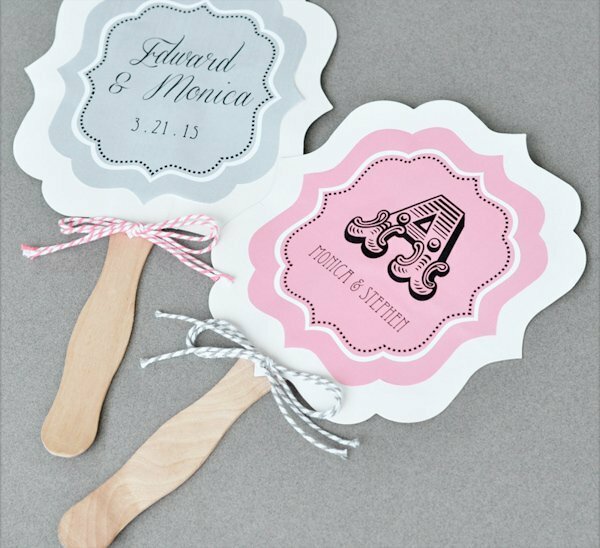 The fan's design is displayed on one side, the opposite side is plain white. Size: 6.5" X 7" for the card; 12" total (handle included). There is a backing to the fans to conceal where the handle attaches. Fans arrive separate from the labels, some assembly required - attaching the self-stick labels to the fans. 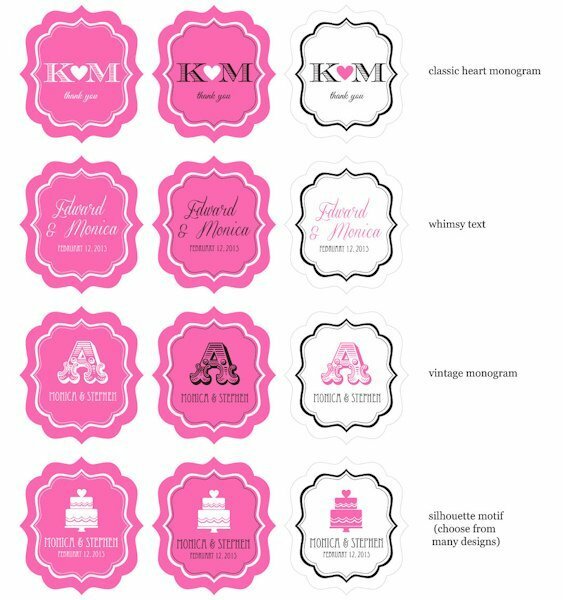 If you choose "Classic Heart Monogram" the initials (Line 1) will be separated by the heart. 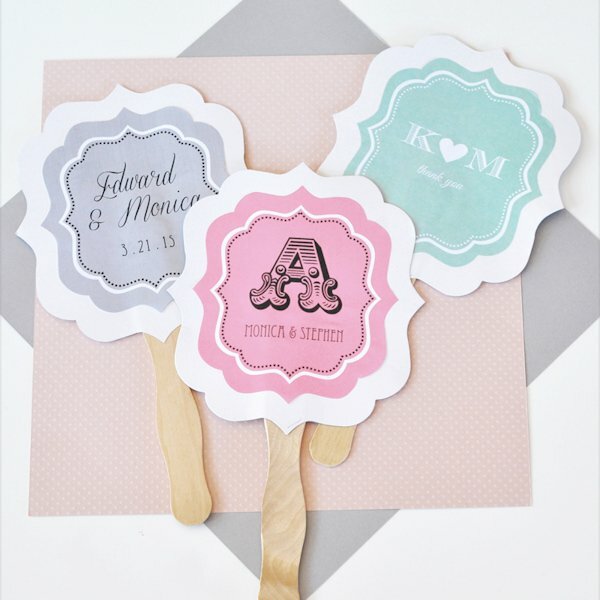 For "Vintage Monogram" design, please use Line 1 to add your single letter and Line 2 to hold your 2nd line of text. 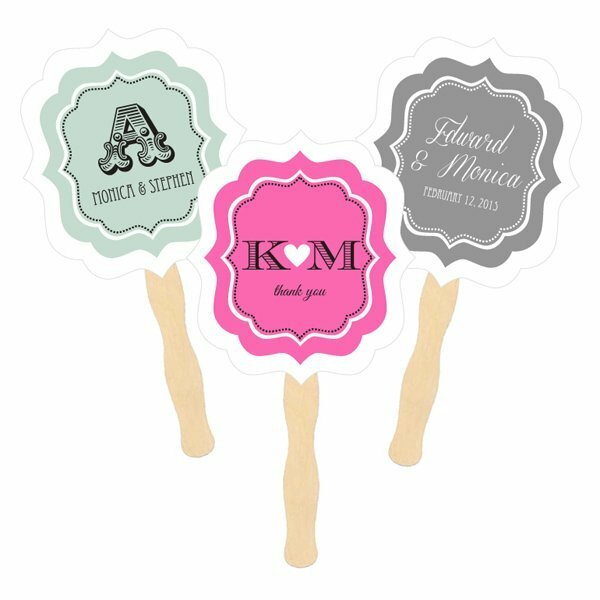 I would like to order the Personalized Fans for Weddings - Paddle Style. Are they already put together? The Personalized Fans for Weddings - Paddle Style will arrive separately from the labels (but in the same box) and some assembly is required, just attaching the self-stick labels to the fans.